See Fatty Run, Can Fat People Run Safely? I am frequently asked both on Facebook and in the Fit Fatties Forum, “I am fat. Is it still safe for me to run?” So I thought I’d take up this question in today’s blog post. The short answer is that most people, given proper form, equipment, time and training can learn to jog or run safely, but not all. There is little evidence that it is inherently unsafe for people of size to jog or run. Plenty of fluffy folks finish 5K, 10K, half-marathon and marathon races every day. There is little to no evidence that running causes pain or loss of cartilage in the knees–no matter what your size. However, if you already have problems in knees, hips, ankles, back or feet, you should proceed with extreme caution as running can make these problems a lot worse. 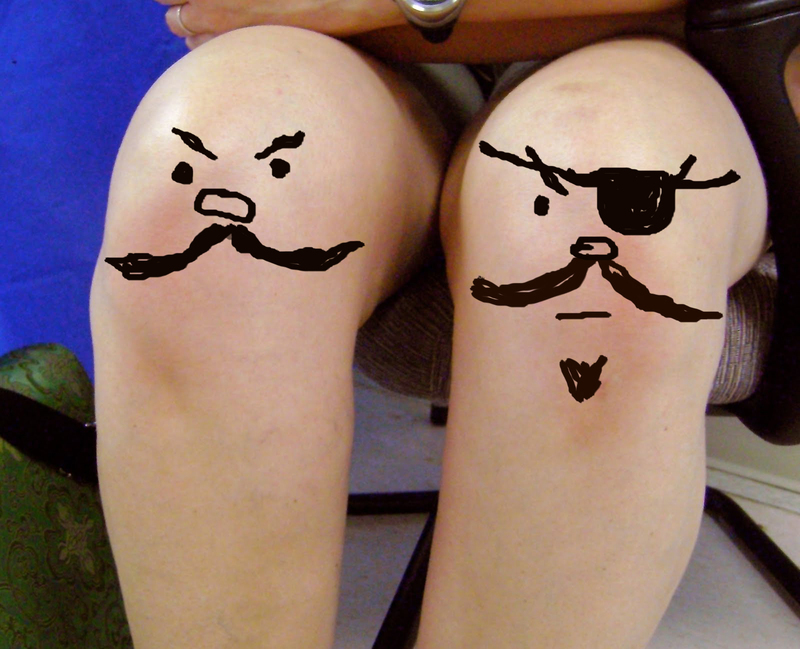 If you have “bad knees” you should get cleared by a doctor before you start running. Frankly, fat folk should approach running in the same way that thin people do. You should probably start by being checked out by your doctor. If you are coping with joint pain or back pain of any sort, you should probably also see a joint or sports medicine specialist and get cleared for exercise before you begin. Once you get the all clear from your doctor(s), then it’s time to gear up. Start by getting yourself a great pair of shoes. The best way to find those great shoes is to go to a running store, and get fitted by a professional. 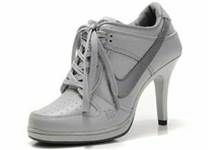 This is not the time to choose shoes because they are your favorite color or because they are on sale. Good shoes that fit properly and meet the special needs of your particular tootsies are critical for safe walking and running. Choose function over fashion for your fitness footwear. Once you’ve got the all-clear and are geared up, you need to start SLOWLY. I cannot emphasize this enough. If you are not already walking regularly, you should start with a walking program. There are lots of different schools of thought about how to move from walking to running. I am personally very partial to Jeff Galloway’s Run Walk Run approach. I started by walking 10 minutes and running for 30 seconds. I ran from telephone pole to telephone pole. I eventually trained to the point I could do a marathon. I know lots of people who have safely used this approach. Going all out each workout as hard and as fast as you can is not noble. It is not bad-assed. It is a recipe for disaster. There’s nothing particularly noteworthy about having to quit your running program after 4 days because you hurt yourself. Once you’ve been running for a while, it is also important to PROCEED SLOWLY. Most sports programs recommend that you ramp no more than 10 percent per week. That means if you are running one mile per session this week, you can run 1.1 miles per session next week. Note that this progression is much, MUCH slower than many of the published and printed running programs out there. While many of the programs that train you for your first 5K or marathon are great, I find that many bodies are simply not designed to ramp up that quickly. That’s why I took my first marathon program, cut it in half, and trained for a half marathon instead. That’s why, when I do 5K or 10 K training programs now, I tend to spend two or even three weeks at each level before I move on. If you’re doing a total of 3 miles of training this week, it’s probably not cool to do 6 miles of training next week. It might work for you. It might leave you a total wreak. Learn to learn from and listen to YOUR body. There are lots of other things you can do to help keep yourself safe. Make sure you stretch. Do a proper warm up. Add cross training to give some of your running muscles a break. Add strength training to build up the muscles and ligaments around your joints and help to stabilize them. Make sure to work on your form. Proper running form–including how and where you place your feet, stride, and even arm placement, are very important. Running is a repetitive motion. Very small problems in your form can lead to very big pain down the road. Be sure to address back and other joint pains early and often. When it comes to running, pain is a very important teacher. Some people can run without experiencing any significant pain. For some people, pain happens a whole lot. In any case, pain is not to be ignored. It can tell you when you need to adjust your form. It can tell you when you need to add more cross training or strength training. It can tell you that the purple tennis shoes you bought because they were on sale were a bad idea. It can tell you that you need to stop running for a while so you can address a problem in your back or your joints. It can tell you that running just isn’t for you right now. DO NOT IGNORE PAIN. Listen to it. Learn from it. So can fatties run? 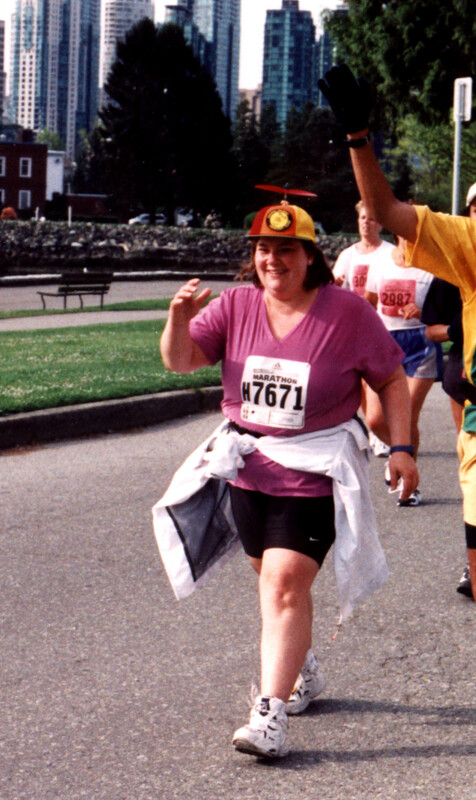 Can running be safe and enjoyable for people of size? Of course! People of all sizes simply need to approach running with caution, gear up, start slowly, ramp slowly, and listen carefully to their bodies. Here’s wishing you happy trails! P.S. Want to learn more about exercise at every size and GET FREE STUFF? Don’t forget to join my list right here. 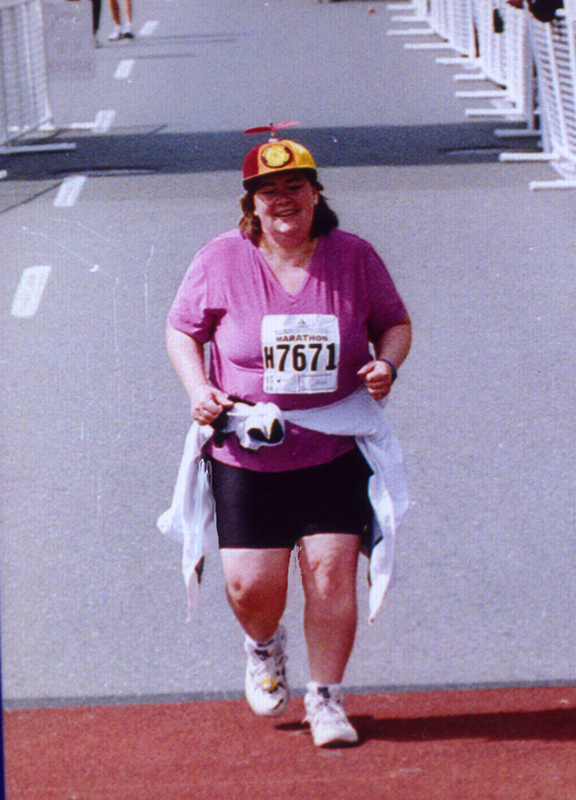 This entry was posted in Uncategorized and tagged arthritis, back, cartilage, doctor, fat, fit fatties, jog, joint, knees, obese, plus-sized, run, safely, specialist on April 16, 2014 by fatchicksings.